Satya Nadella has made a tremendous amount of changes in the way Microsoft goes about their work and one of the many such changes is to bring open source culture to Microsoft. We all probably know that MSBuild has been open sourced for more than a couple of years now. 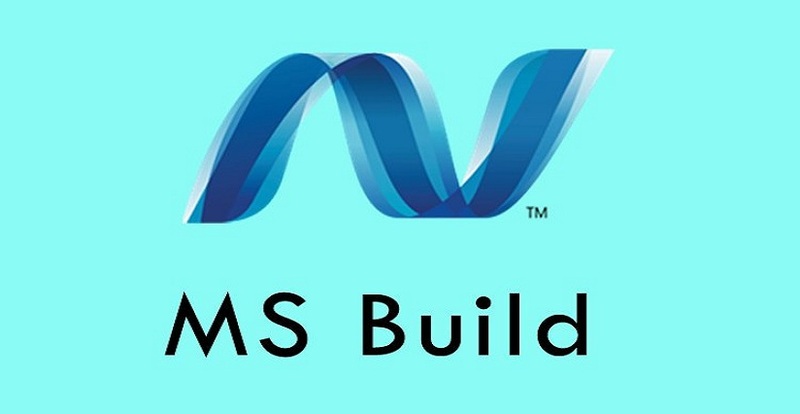 MSBuild is used to build both .NET and .NET Core projects. In fact, MSBuild is used to build .NET Core Runtime itself. Recently Kirill Osenkov published a new tool called MSBuild Structured Log that makes it easy to visualize your builds and the build process. Install and run MSBuild Structured Log from here. 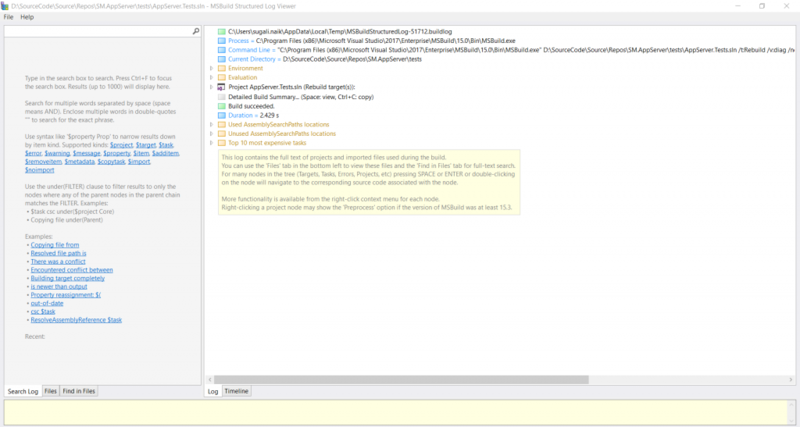 It is an MSBuild logger that can be passed to MSBuild during a build and it records information about everything that happens in the build. But instead of just dumping everything into a huge text file it preserves the structure and relationships between elements, and lets you save and open the structured log in .xml format. 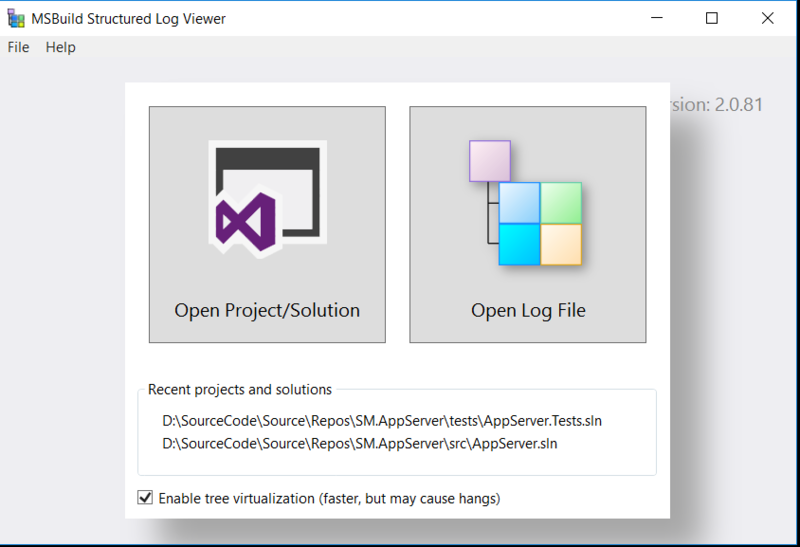 This has significant advantages to help you understand and navigate large build logs.